I'm not really sure why this gets such terrible reviews on other sites that I've seen. 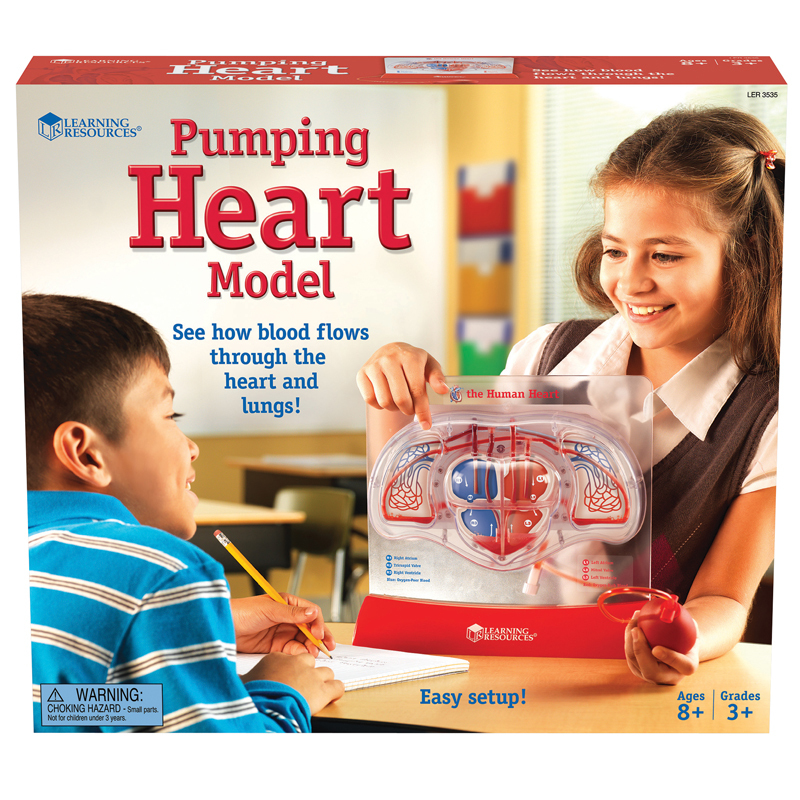 It's not entirely accurate but it's designed to give a simplified explanation of the circulatory system for children. My husband is a firefighter and my daughter (4 years old) is fascinated with his work especially during his EMT course. This provides a visual for her to see the blood coming into and out of the heart and to provide a gateway to questions she might not know to ask. She knows a heart pumps blood and has something to do with a pulse this provides her something to experience to link those ideas together. It has a small activity booklet. I have no idea if there are instructions in it as filling it is pretty self explanatory, just take the pump off fill it and pump the fluid in. If the dye packs are empty or dry, I haven't checked mine, some red flood coloring will suffice. I think people might be expecting a bit much of a toy.